Smoking isn’t cool any more. 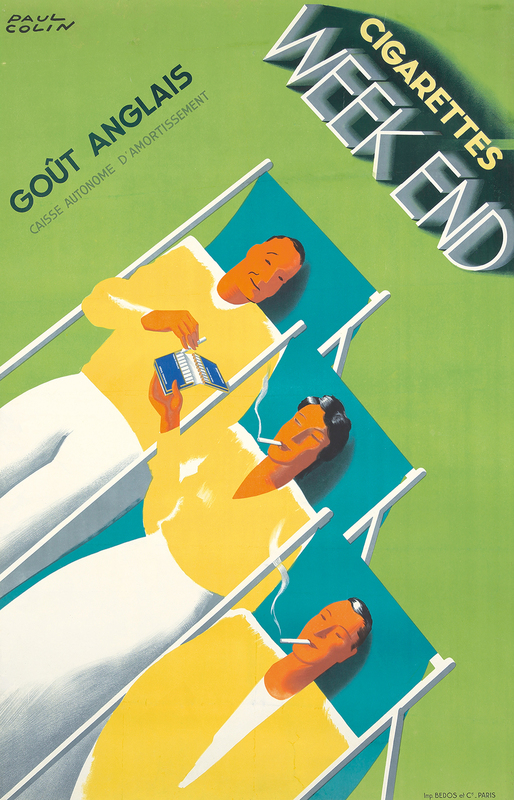 But it’s really tough to argue that these Art Deco cigarette posters aren’t impossibly cool. 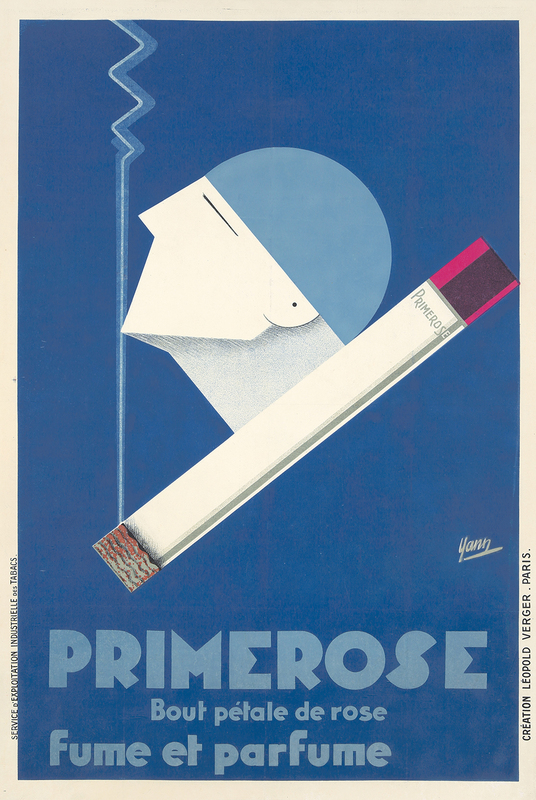 From the stylized faces to minimalist Object posters, they successfully convey the somatic effect a cigarette delivers: a soothing calm alertness, a distance, a momentary breath of time; and the edginess of youth. Lot 215. CIgarettes Sato, by Anonymous, 1933. 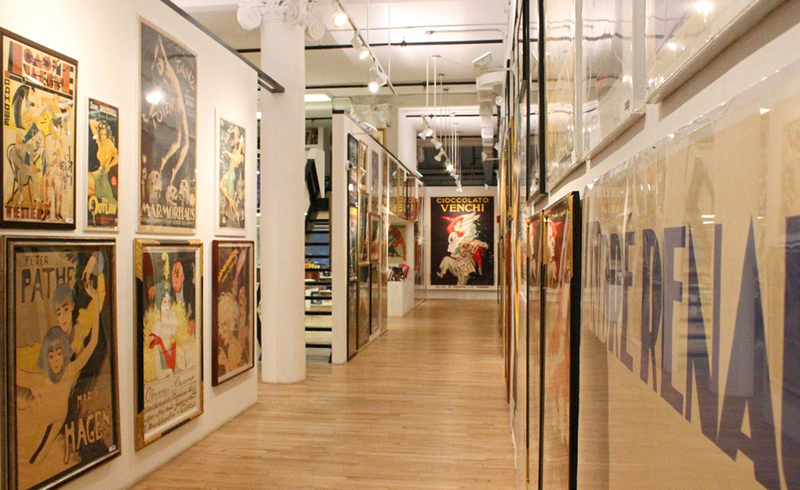 “In Japanese, sato literally means ‘home,’ or ‘village’… It seems plausible that the unidentified artist may have been familiar with the word, since he created his poster with swank Art Deco Orientalism. The cool tones and exacting geometry of the background contrast wonderfully with the contours of the statuesque bust, itself an almost feline vision of pleasurable addiction. The airbrushed tendril of curlicued smoke pairs nicely with the smoker’s flowing peroxide-blonde hair… ‘Aret’ in ‘cigarettes’ is differentiated from the rest of the word by dropping out in white. 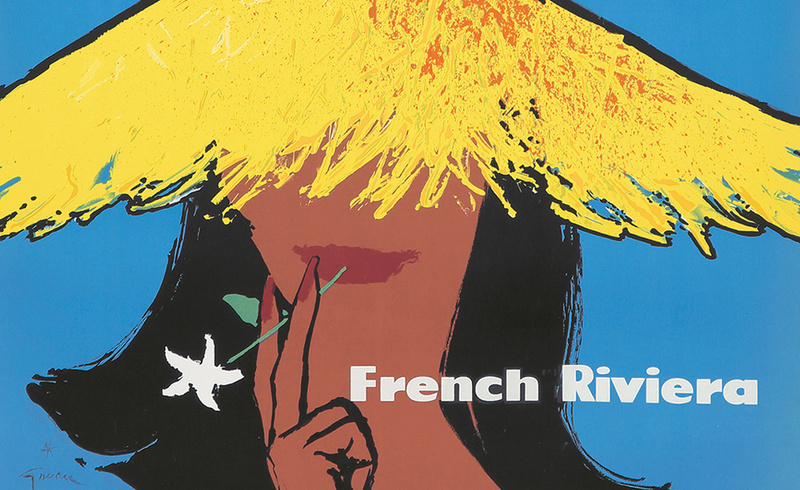 A French-speaking viewer would recognize ‘aret’ as a homophone for the French word for ‘stop'” (Crouse/Deco, p. 214). Lot 234. Pavillion des Tabacs. 1931. 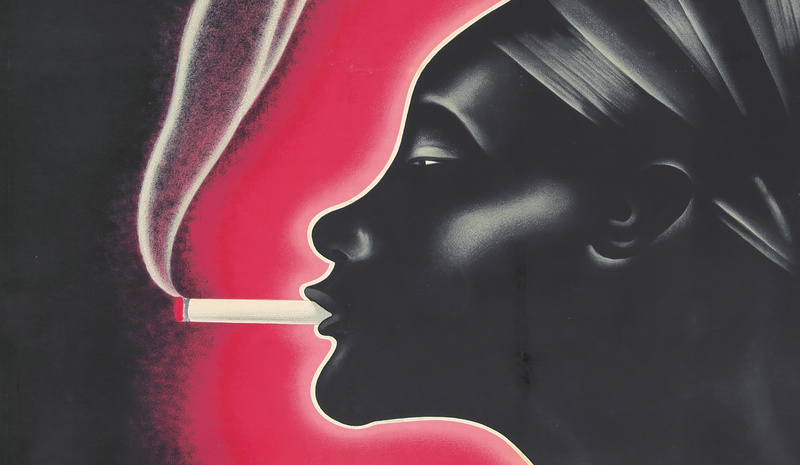 An electric-pink neon glow surrounds a stylized bust of a smoking African woman in a convergence of modern and traditional aesthetics. 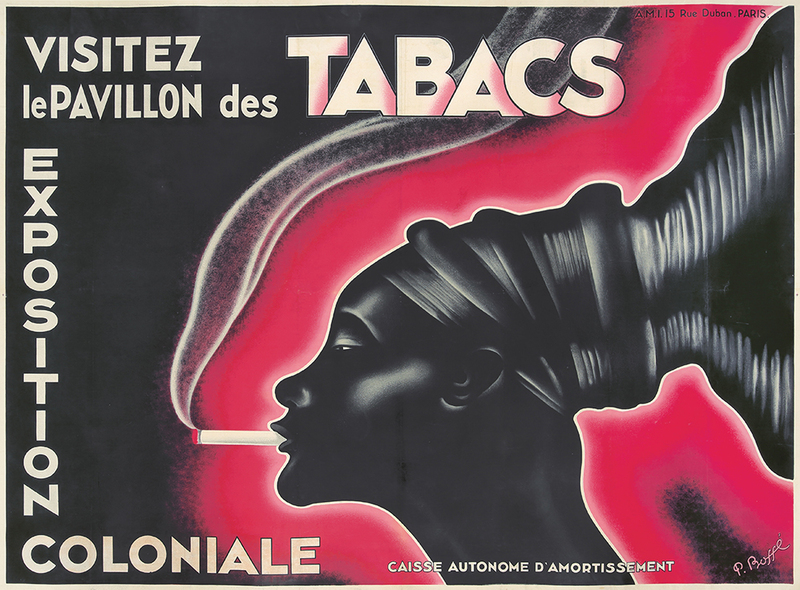 The Exposition Coloniale of Paris, held in 1931, attempted to paint France’s colonial empire in a positive light by demonstrating mutually beneficial cultural exchange. The expo attracted between 7 and 9 million visitors from around the world. Lot 434. Modiano, by Aladar Richter, 1932. 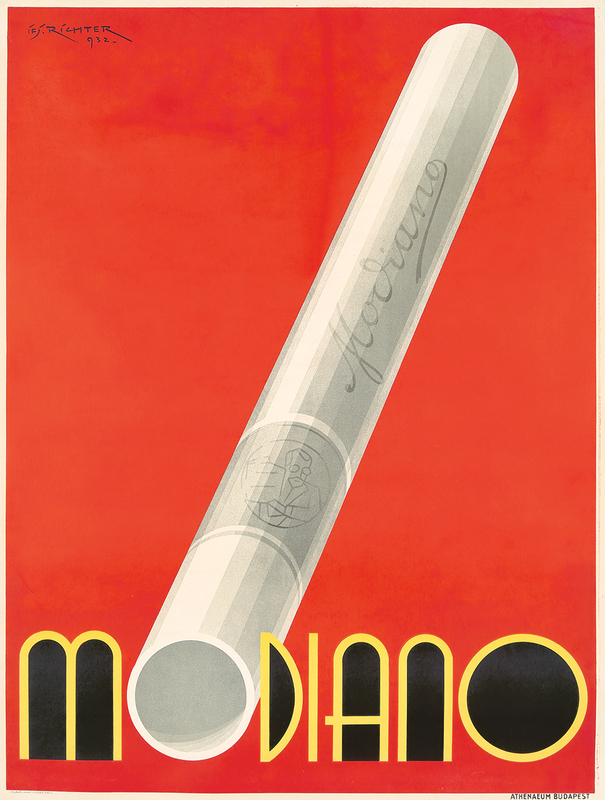 This example of Peak Art Deco, from the typography to the three-dimensional effect to the old-school, cursive Modiano signature on the cigarette itself, succeeds where almost every other Object poster for tobacco products fails: it makes smoking feel cool, just by looking at it. Lot 354. Modiano, by Franz Lenhart, 1933. 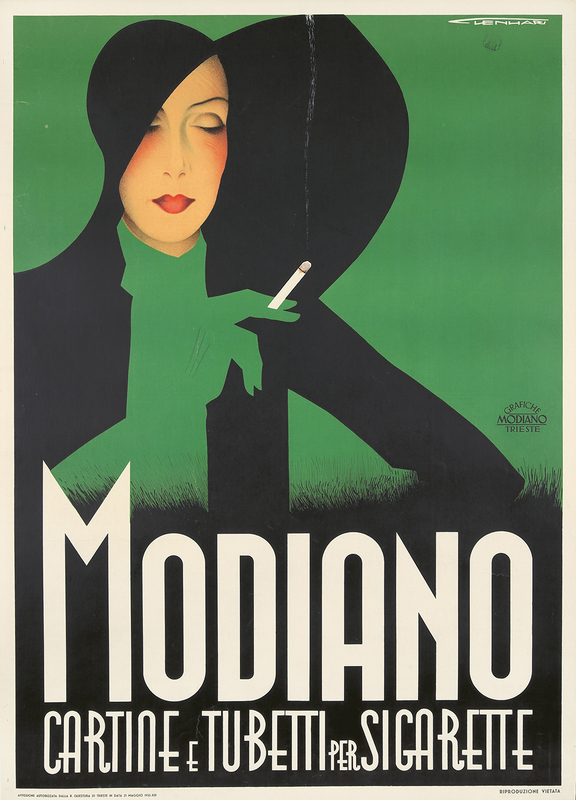 For the Modiano brand of prefabricated rolling paper tubes, Lenhart plays us an engaging optical game of silhouettes: the black outfit of the Garbo-like femme fatale like a cutout against the green background, the blouse and the hand cut out in turn from the black; standing out from both, the warmly glowing face and the white cigarette. Most elegant! Born in Bavaria, Lenhart studied in Italy and settled there permanently in 1922 to work and teach. Lot 501. Primerose. ca. 1930. 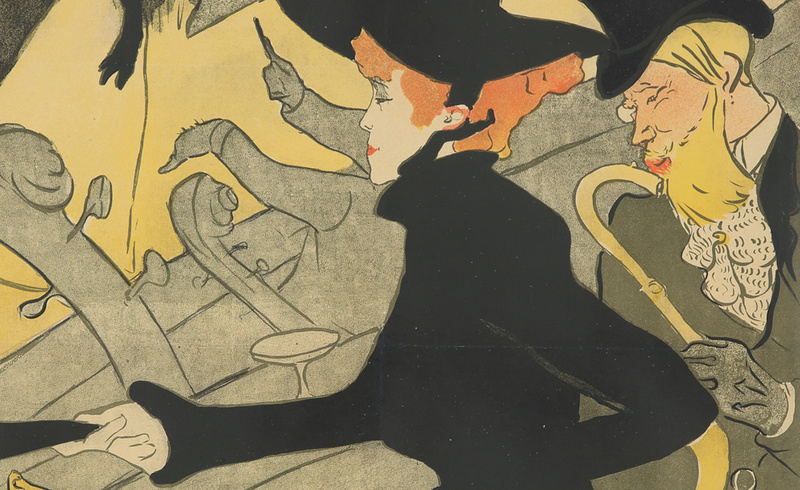 Deco angularity announces the modernity of a stunning invention: a cigarette that masks its own noxious fumes with perfumes – derived, it says, from rose petals – delivering a secondhand smoking experience second-to-none. Interestingly, organic specialists tell us that primrose oil is a time-tested remedy for flushing tar deposits from the lungs and lymph system. Lot 300. Week End Cigarettes. 1933. 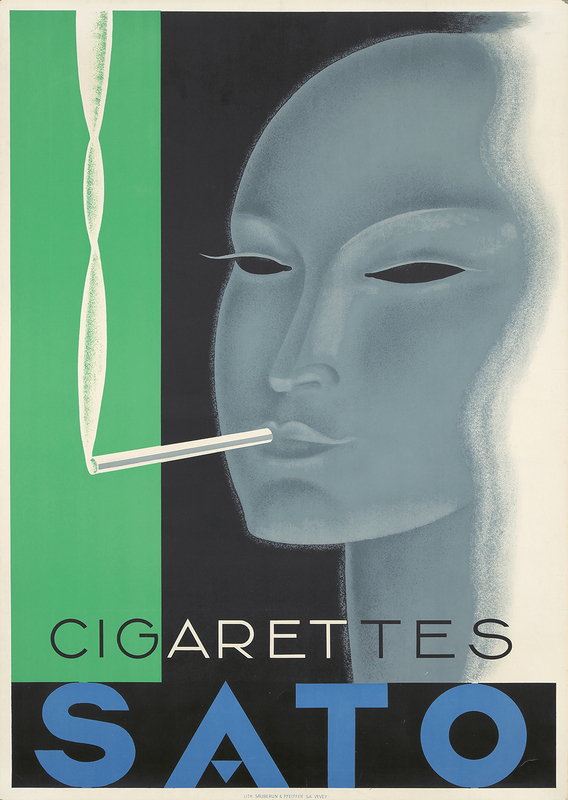 “This is a great example of Paul Colin’s Art Deco skills, executed with complementary diagonals, inviting, soft pastels, and a sense of pure smoking pleasure” (Crouse/Deco, p. 220). CLICK HERE TO VIEW THE ENTIRE SMOKING SECTION.